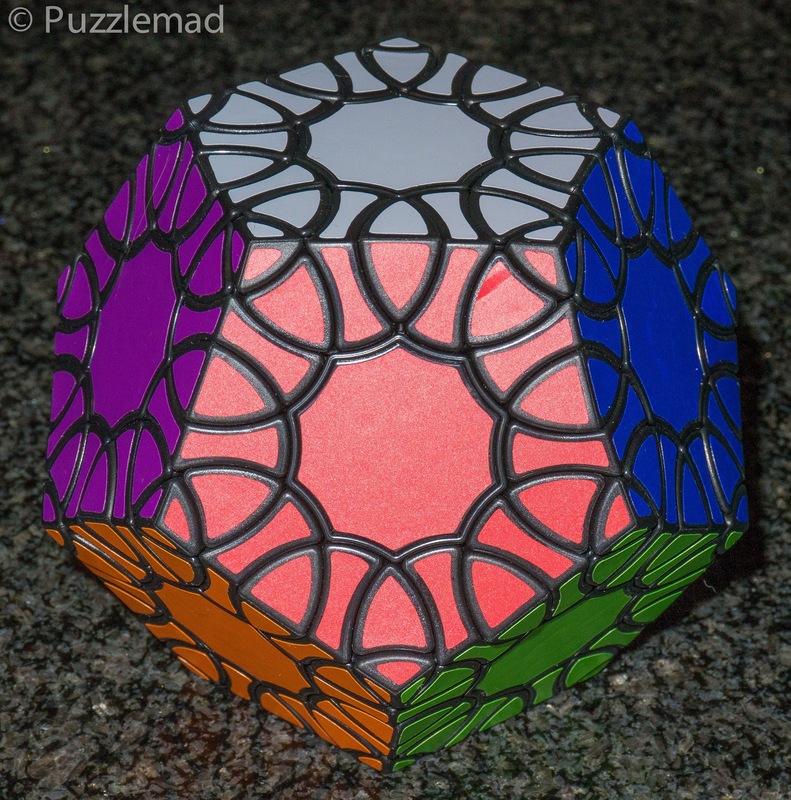 PuzzleMad: The Curvy Copter Taken to Extremes - It's Still Great Fun! The Curvy Copter Taken to Extremes - It's Still Great Fun! I've had a nother really busy week and just not had enough time to get fully to grips with the Revenge Lock from Wil Strijbos that I showed off last week. Luckily for all of you Allard has reviewed it for you here and I will hopefully get to write something next week. But I still have something very interesting to show off today. 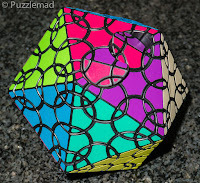 Yes, I know that it's a twisty puzzle and I know that half of you puzzlers switch off when you see one but with this one you really shouldn't! Today I am going to discuss the next iteration of one of my favourite group of twisty puzzles - the edge turners. 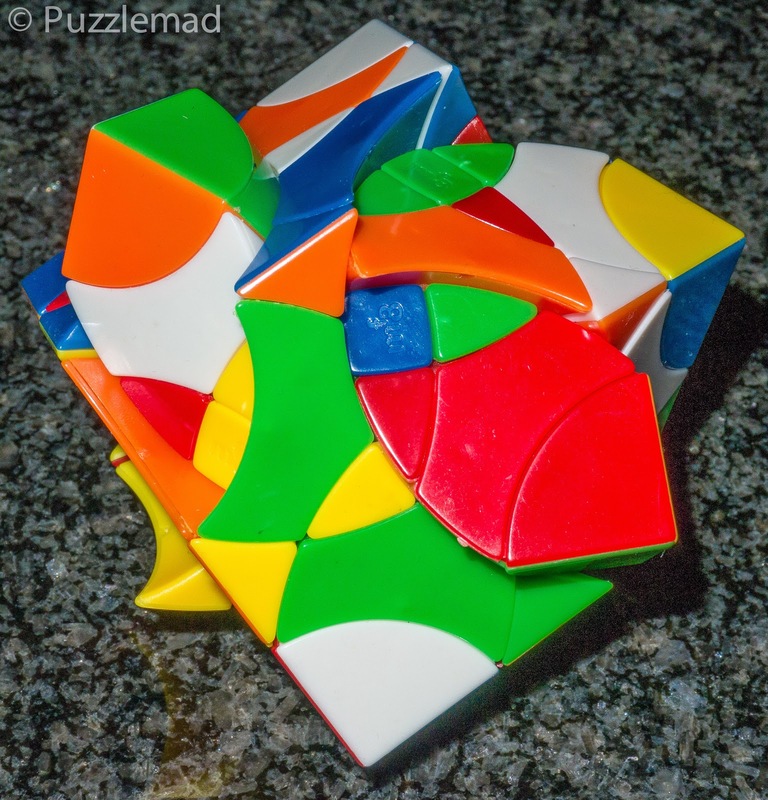 S o don't switch off/go away - these are definitely puzzles to be considered for any puzzler who can think© and who can think logically - at most a simple 4 move algorithm might be needed. 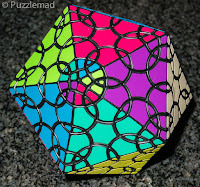 Apart from the inevitable move to other Platonic solids (the curvy dodecahedron was a wonderful extension of the series) we all thought that the only other way to give us more fun challenges (remembering that all of these puzzles were pretty intuitive in their solution) would be to go higher order. 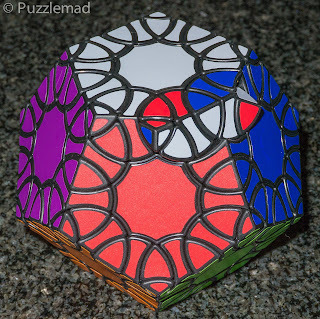 This has not been mass produced as yet but one of my "pride and joy" puzzles which I must admit is not quite as intuitive as all the others is the Master curvy copter designed and produced by the incredible Eitan Cher. This was effectively a 4x4 version and was one of my puzzles of the year in 2013. I have to admit that this one is a bit less intuitive than the others! I honestly did not expect to see any more edge turners produced but was truly delighted when one of the most innovative puzzle designers and manufacturers, Leslie Le, of the Very Puzzle company announced last year the imminent production of totally new edge turning puzzle, the Clover Cube which is pictured at the top of the post. I bought mine from my good friend Marty who has a fabulous store based in the UK but it is also available from other stores including Puzzle Master in North America. This puzzle is very reasonably priced considering the amazing complexity of the construction. One edge turned - it doesn't align fully! 3 edges turned - jumbling!!!! The jumbling that can occur with all the other edge turners still happens and it shape shifts in a truly fascinating way! Of course I HAD to buy it but was just a teensy bit worried that it might not be as intuitive and easy as the other edge turners. After all, I am not terribly bright and if it gets really difficult then I would be in trouble! Despite what Allard said about me here in his write up of the 26th MPP, I don't usually solve lots of puzzles in a short space of time with ease. 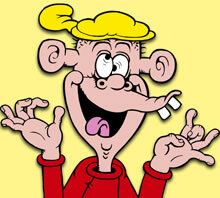 I spend a lot of my time making the lots of annoying noises and also amusing Mrs S by looking like Plug from the Bash Street Kids. 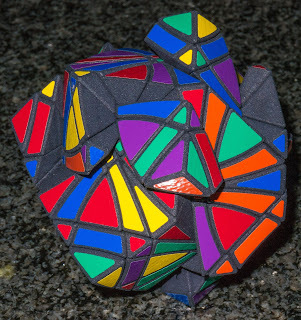 I just scrambled it without any exploration! After my initial horror at the sheer size of it, I threw caution to the wind and just scrambled it! There was no exploration or anything....I figured that it should be very like the other edge turners and would be pretty easy! I did get a bit of a shock when I looked at the final result and this was carried around with me for several months. 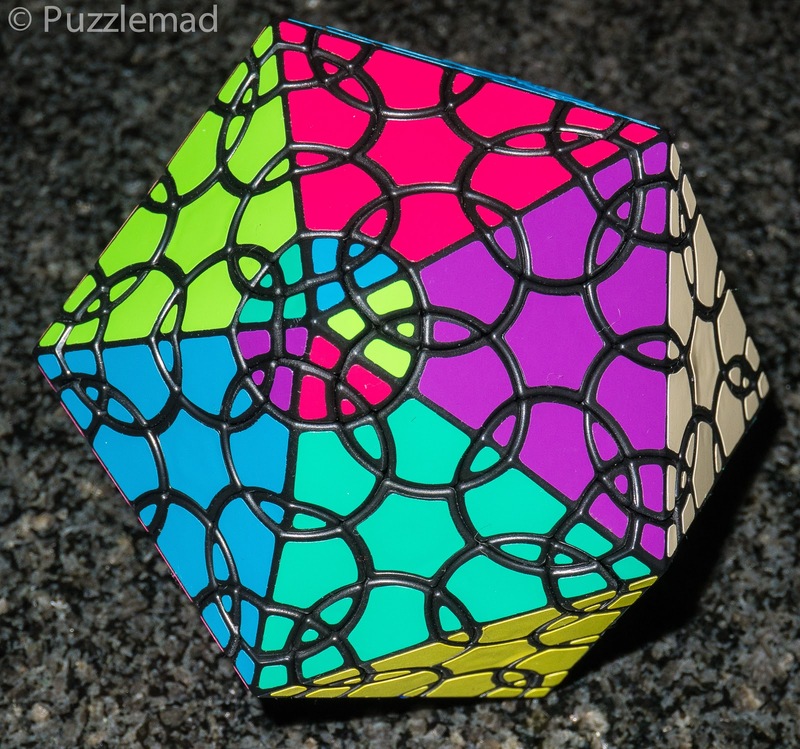 I tried what I had done with the original Curvy Copter and I was getting nowhere fast. It remained in my bag for ages and taunted me until Derek also started to taunt me about it. 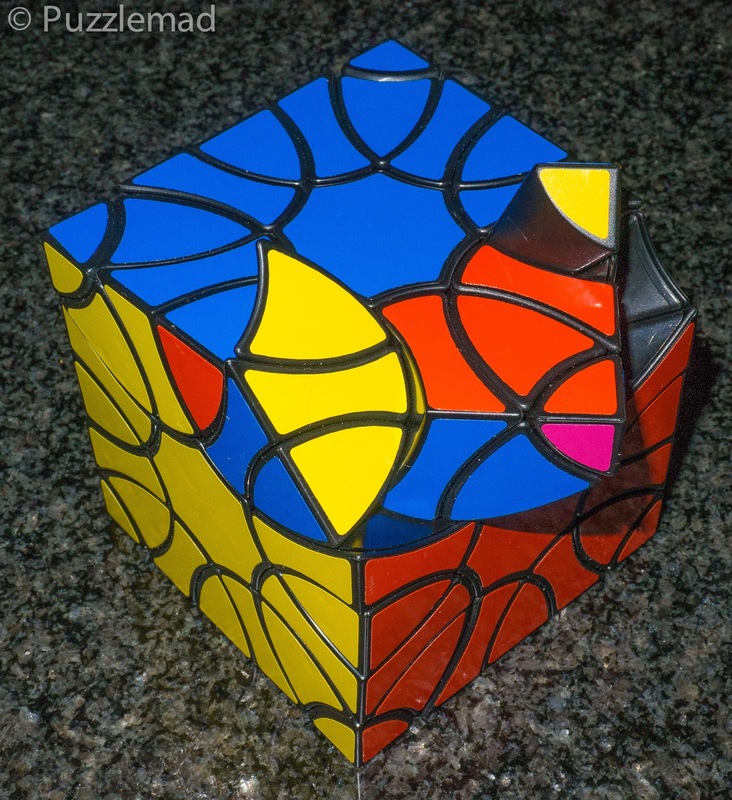 Intuition will get you back to cube shape as that is just a matter of playing with it. 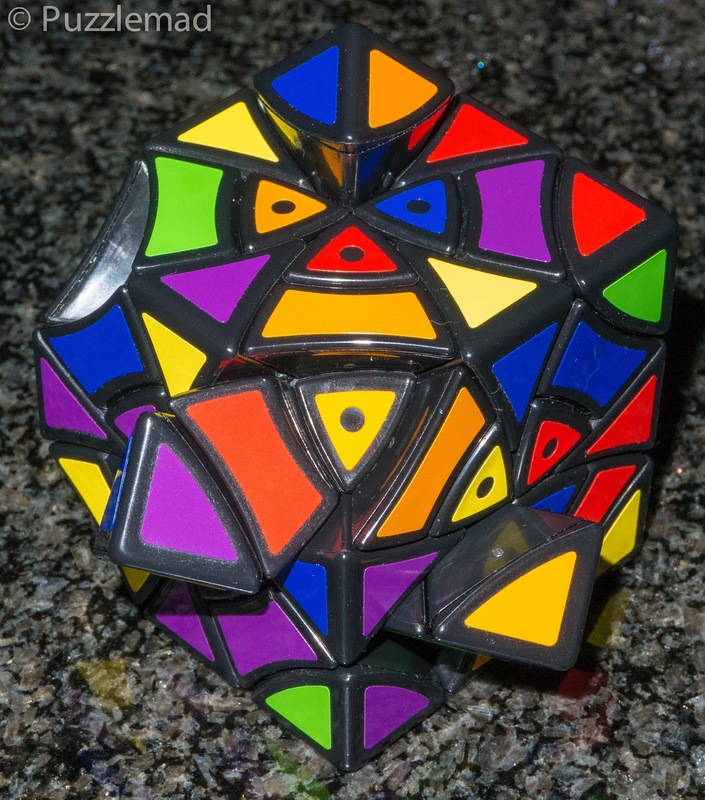 After that you need to take a leaf from Allard's book and truly THINK© Playing with just one side of the cube and adjacent edges, I realised that there was just a 4 move algorithm that could be used very creatively to cycle 3 pieces. With setup arrangements it became very obvious that you could use the same 3 cycle to swap edges about or to to move the petals with attached corners. The Aha! moment was fantastic and all of a sudden I was on my way!!! Yessssss! I knew the corners were going to be awkward but hopefully I could rapidly work my way through the other pieces. 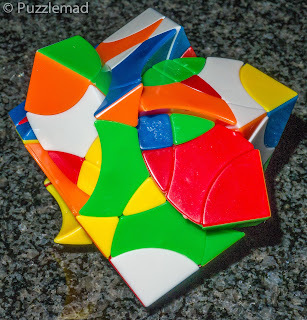 There are quite a lot of pieces to this puzzle so it took a while to work through. I was really enjoying myself for 2 or 3 evenings and Mrs S continued to laugh at "Plug" but I was a happy puzzler. It took me 2 evenings alone to work out how to get the last 4 edges pieces into place - not being very bright, I had forgotten that I could use four separate 3cycles to cycle 4 pieces around. After that the petals were a dream to move once I had worked out the setup moves. 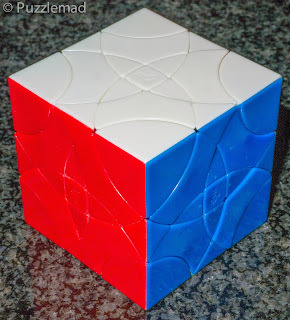 I was left with the corners and looking at them it became clear that there was a very simple intuitive method to just swap 3 of them around and that would rotate them clockwise too. It was just a matter of thinking again! After 3 months of hesitation and nearly 2 weeks of proper play it was solved. 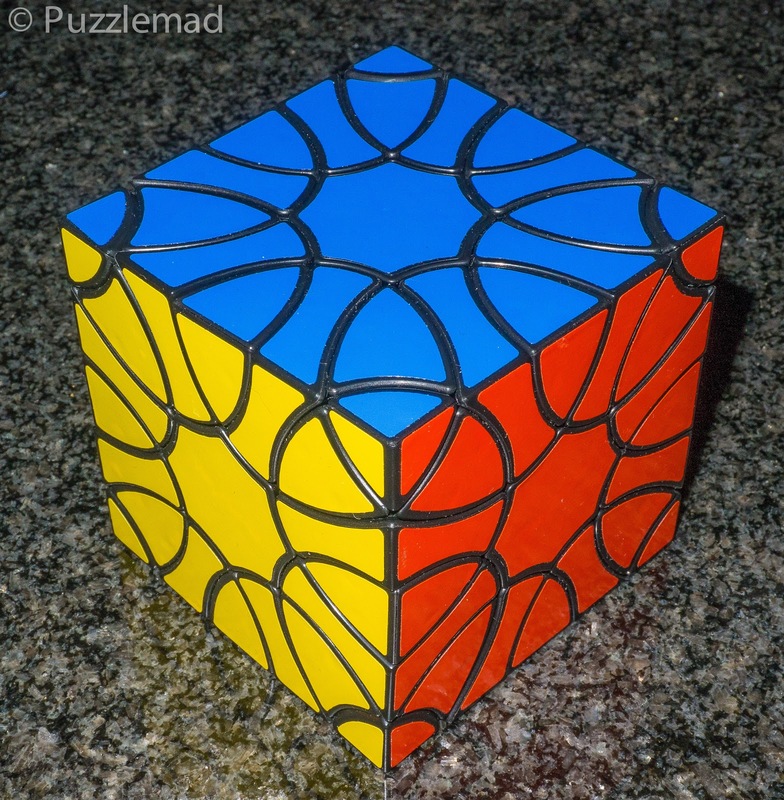 THIS IS A BRILLIANT PUZZLE! Of course the advantage of the twisty puzzles is the replay value - there's often a new nuance to be found in subsequent solves. After a short discussion with Derek who had also solved his, I scrambled it again but this time I used my solving techniques to scramble it really really well!! I started again with glee and all was going well when.......Nooooo! Something impossible occurred! I had been moving the edges about again and was expecting to get my previous 4 pieces left to place at the end of that section. I sat back with a look of disbelief on my face when I realised that I had just 2 edges left to swap....... this is NOT possible! 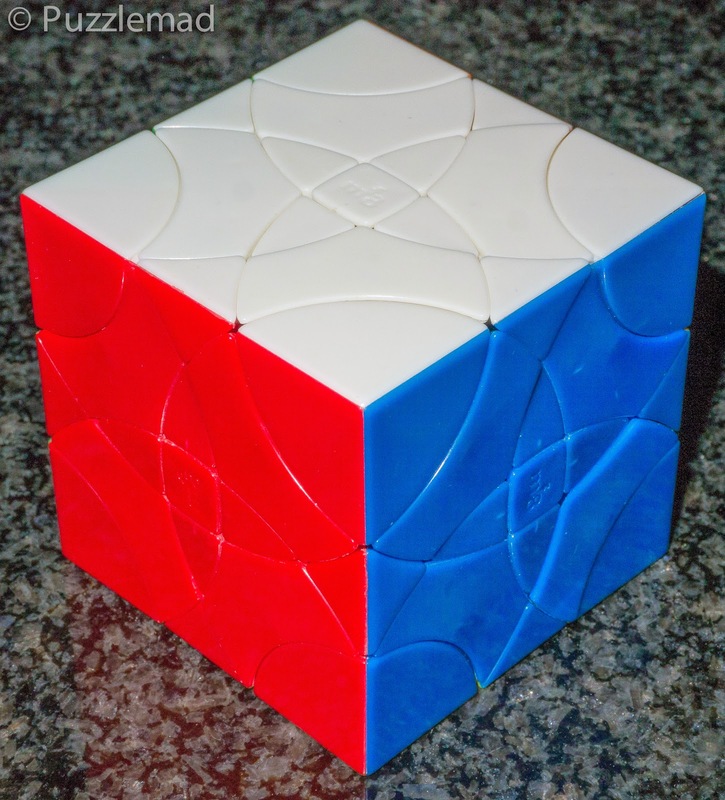 The "law of the cube" means that a 2 piece swap is never something that is required. I was missing something. I was completely stumped and actually frozen into immobility. 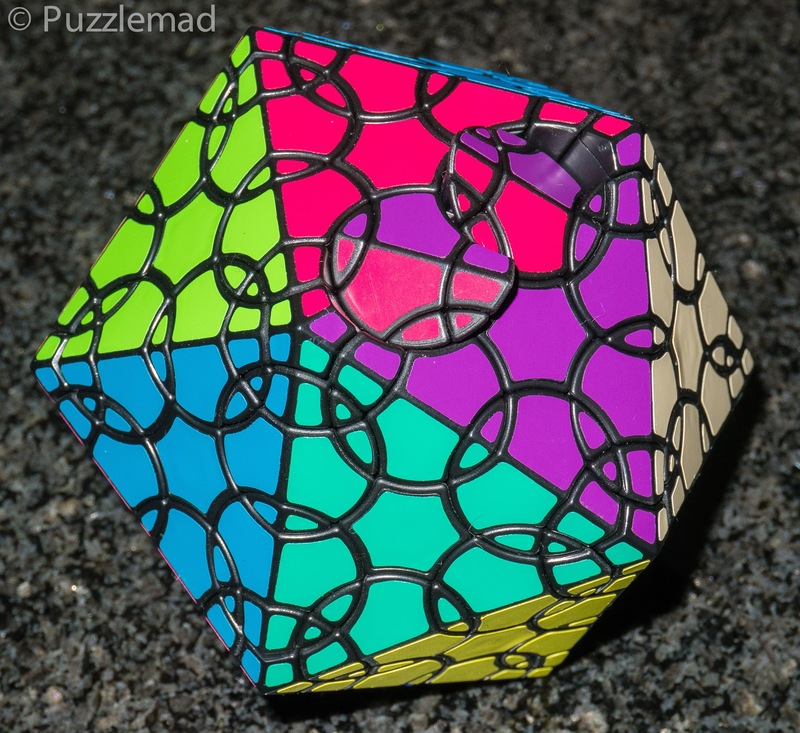 Sometimes I would just rescramble a puzzle when this happens in the hope that I can get out of it in the next solve. 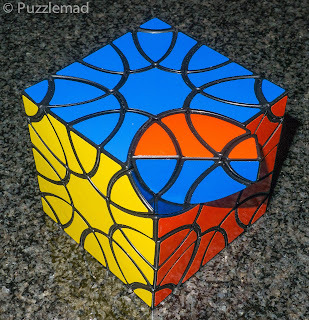 But here I didn't want to solve this by chance, I needed to understand it. THIS IS A BRILLIANT PUZZLE!!! You really should buy it! 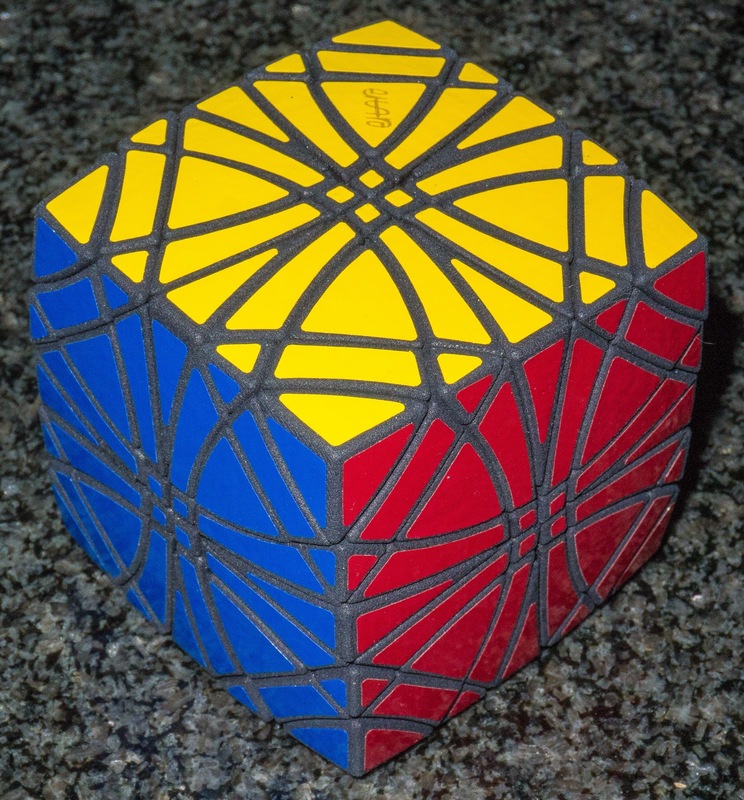 I still need to solve it a few more times to finally say that I have mastered it but it is yet another candidate for my end of year top 10. There is much about it that is just intuitive as it relies almost entirely on a single 4 move sequence with setup moves. It requires thought rather than memory of algorithms which is the reason I love edge turners. I have been a bit sidetracked this last week by the wonderful new toy from Wil Strijbos that I mentioned here. Of course, Leslie has not rested on his laurels there! He has produced a whole series of these wonderful new edge turners! 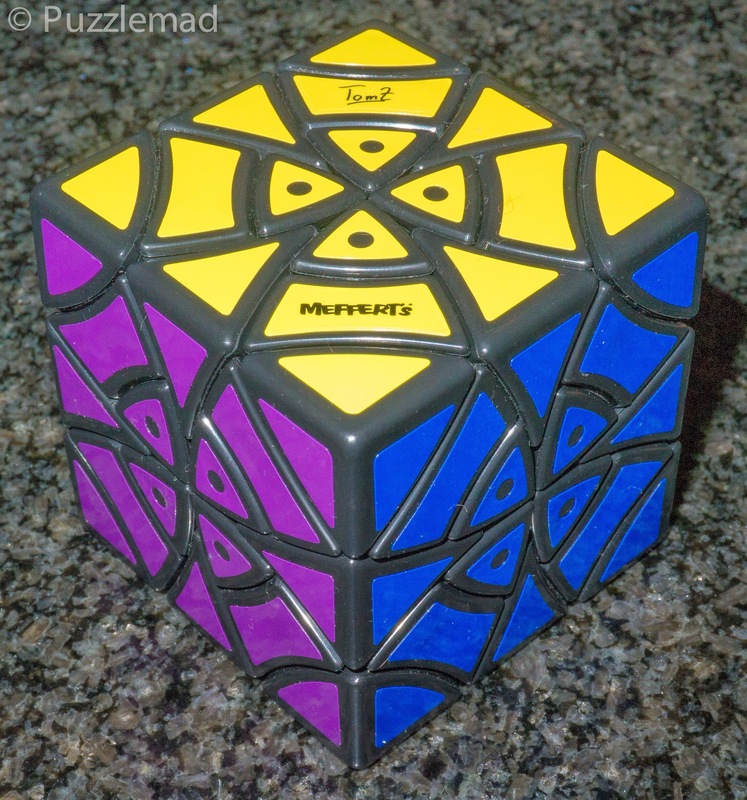 I have the Clover dodecahedron and Icosahedron waiting for me and hopefully Marty will get the 2 Octahedra in stock soon as well. But it should just be like the cube but MORE! 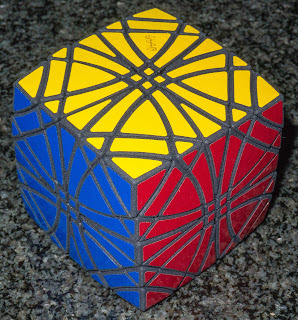 This should be a very similar solve to the cube (I hope) but I haven't had the courage to scramble it yet! 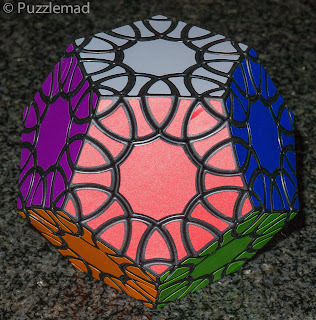 The Dodecahedron is available from Puzzle Master here or from Marty here. 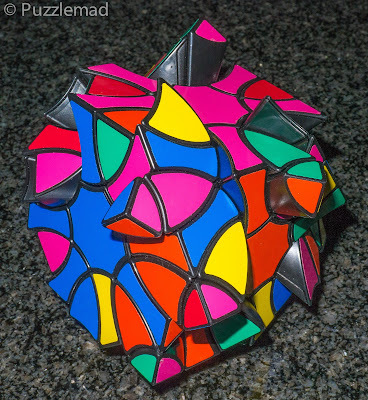 The Icosahedron has an awful lot of pieces but also has the added "twist" that the corners rotate as well as the edges - the design skills in these puzzles are incredible. 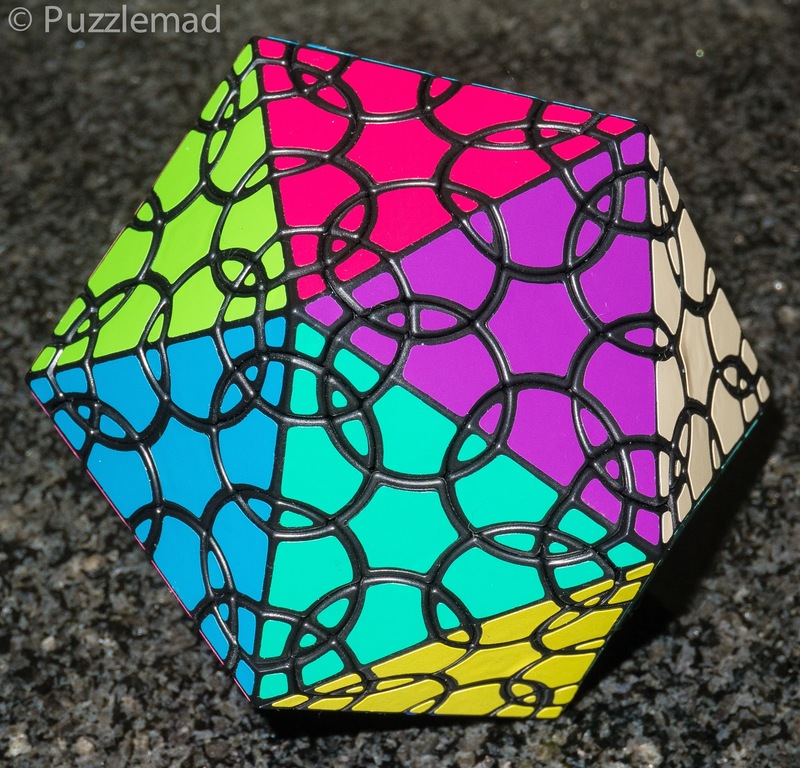 It is available from Marty here and I am sure that Puzzle Master will be getting them in stock soon. 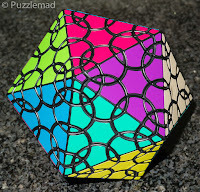 Don't be frightened of twisty puzzles - the edge turners are very logical and need thought rather than algorithms. You CAN remember 4 moves!! !